Well we all know that ArcWeb 2006 really won’t be “out” until January, but they have been rolling out portions of the product slowly. REST documentation was noted by myself and Brian Flood as being pretty weak, but ESRI seems to be filling in the gaps nicely. Two new sections have appeared in the REST help, REST mapping projections and REST mapping sample requests. You can start playing with ArcWeb by signing up for a Public Services. 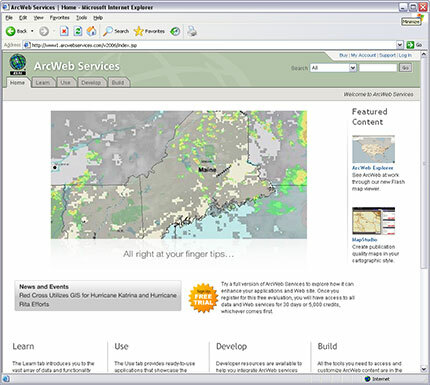 When ArcWeb Explorer is released, we’ll start seeing some of the power behind ArcWeb 2006 including the seamless panning that has me so excited.